Well.ca has a Shop Early and Save On Winter Gear Event on now! Save $15 off when you spend $100 or more on Winter Gear! Enter the promo code WINTER15 at checkout. Coupon offer ends October 16 at 11:59 p.m. EST. 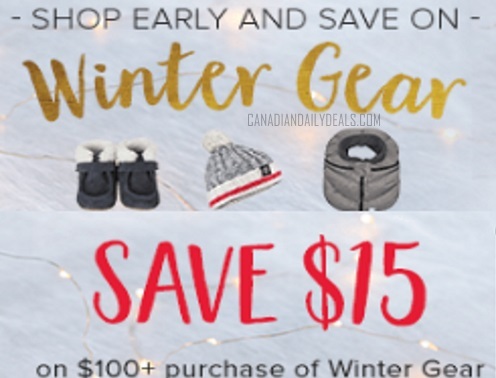 Coupon allows user $15 off orders of $100 or more in the Winter Gear product list to a maximum discount of $15 at Well.ca.